M1A1 Abrams Battle Tank from the 1st Armoured Regiment. Image via Commonwealth of Australia, Department of Defence. An industry consultation day will be held in Melbourne today for Australian businesses looking to score a piece of the work in Defence’s Main Battle Tank Upgrade and Under Armour Breaching and Bridging projects. Delegates representing 131 companies, the majority of which are from Australia, are participating in the event. Defence Industry Minister Christopher Pyne said the event, hosted by the Centre of Defence Industry Capability (CDIC), will help local businesses get involved in building up Australia's military capability. "Small and medium enterprises will be able to engage with Centre of Defence Industry Capability at this event, to discuss potential Australian innovative solutions they can offer for integration into the capability," Minister Pyne said. "With a combined value of approximately $2 billion, these projects are an opportunity for Australian companies to win work and contribute to Army’s future Armoured Fighting Vehicle capability. Early industry engagement is crucial for Defence to understand potential future industry participation in capability development and delivery." The projects, known as LAND 907 Phase 2 and LAND 8160 Phase 1, are worth up to $2 billion. Under the LAND 907 Phase 1 project, Defence acquired 59 M1A1 Abrams Integrated Management Situational Awareness Abrams tanks, 13 M88 Hercules Armoured Recovery Vehicles, and training and support systems including simulators, special tools, test equipment, spares and ammunition. 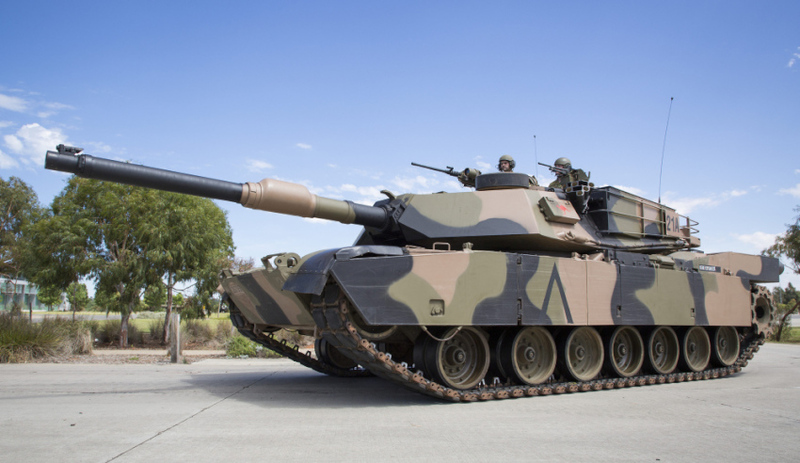 The LAND 907 Phase 2 project, budgeted for $750 million to $1 billion, will look at providing the Australian Army with an upgraded Main Battle Tank (MBT) capability, with the M1A1 to be upgraded to a M1A2 variant and M88A2 to be upgraded to an M88A3 variant. Under the LAND 8160 Phase 1 project, Defence is seeking to acquire and armoured engineering system for the Army to provide and under armour obstacle breaching and bridging capability to support mounted forces. The capability will be based on a M1 tank chassis and may be delivered by three variants: an Armoured Breacher Vehicle, an Armoured Bridge Launcher and an Armoured Engineering Vehicle (AEV). The breacher vehicle's main role will be to mechanically and explosively breach minefields and clear obstacles, while the armour bridge launcher will be able to cross wet or dry gaps and allow for forward movement in the battlefield. An AEV typically features a large dozer blade or mine ploughs, a large calibre demolition cannon, augers, winches, excavator arms and cranes or lifting booms.